Here they are, the newest creations from the ProonK studio! All ProonK products are made from laser-cut stainless steel that is then hand-assembled and crafted by myself. This process ensures that all jewelry retains its individual character and is therefore a one off design. The ‘Globalarette’ series introduces LED lights that hide behind the stones to make them illuminate and sparkle. 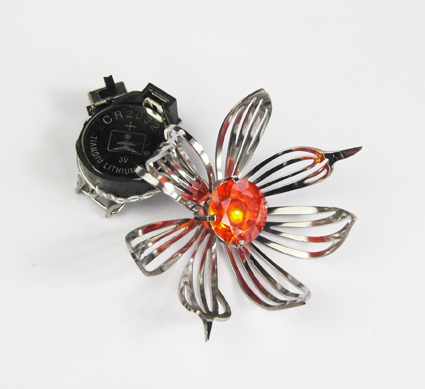 The LED’s can be switched on and off and the battery is changeable. All ‘Globalorettes’ come with a certificate and an individual running number to ensure they are truly unique. 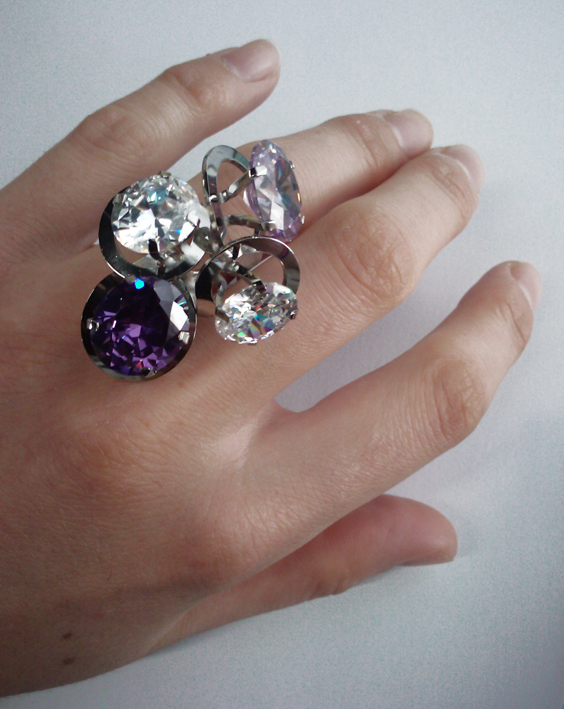 Available CZ stone colours: diamond, honey yellow, fire opal (orange), peridot (light green), pink, garnet (dark red), lavender (light purple), amethyst (dark purple). Available LED colours: white, yellow, orange, red, green, blue, rainbow (colour change). Stone and light colour can be individually chosen. 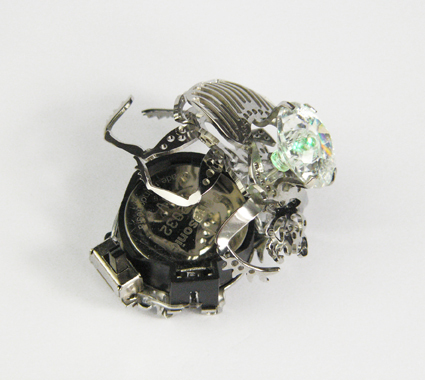 'Busy Lee', Globalorette Series, Brooch. Stainless Steel, CZ, LED, Battery Box, Light Switch, Cable. 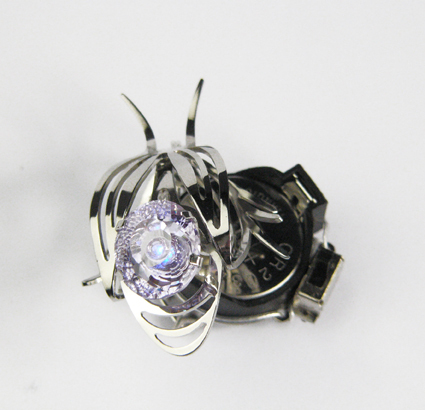 'CalRoach', Globalorette Series, Brooch. Stainless Steel, CZ, LED, Battery Box, Light Switch, Cable. 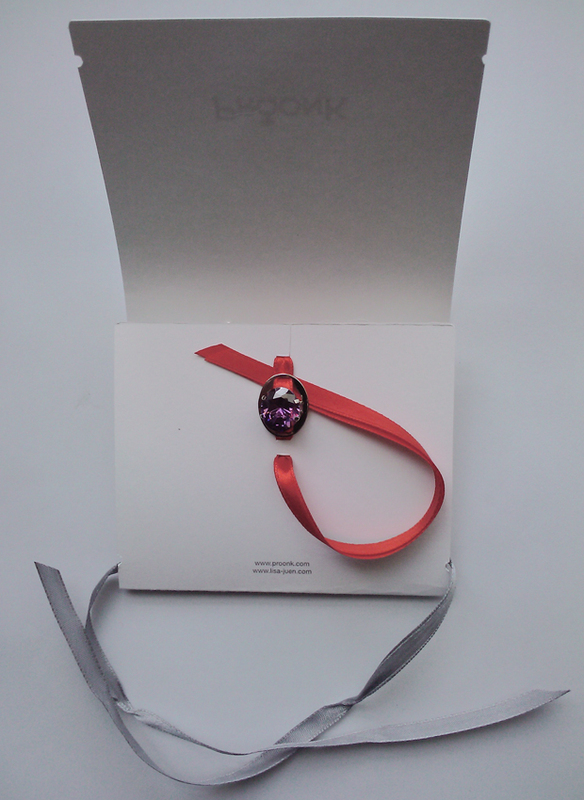 'DoroFly', Globalorette Series, Brooch. Stainless Steel, CZ, LED, Battery Box, Light Switch, Cable. 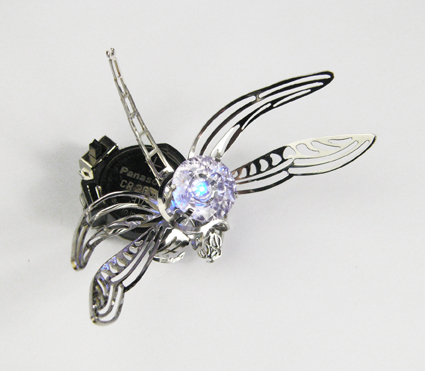 'LaraBug', Globalorette Series, Brooch. Stainless Steel, CZ, LED, Battery Box, Light Switch, Cable. 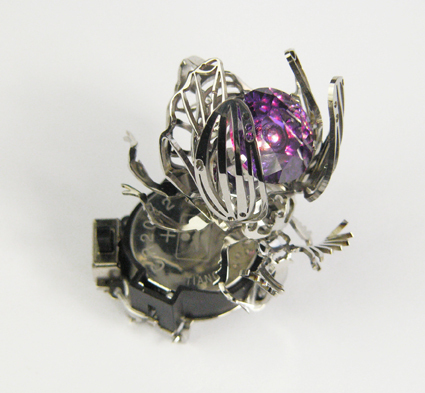 'LotLita', Globalorette Series, Brooch. Stainless Steel, CZ, LED, Battery Box, Light Switch, Cable. 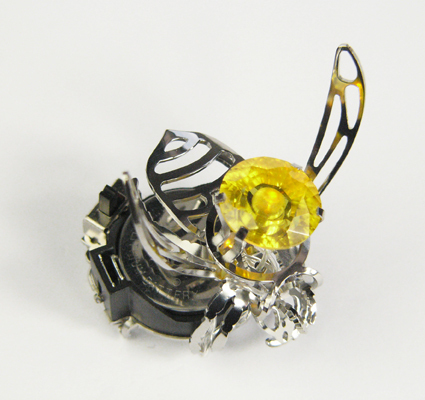 'MayBarb', Globalorette Series, Brooch. Stainless Steel, CZ, LED, Battery Box, Light Switch, Cable. 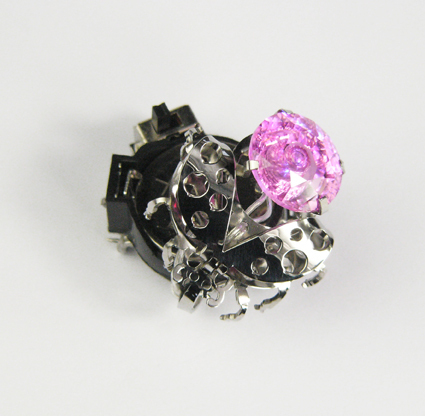 'ScarLab', Globalorette Series, Brooch. Stainless Steel, CZ, LED, Battery Box, Light Switch, Cable. 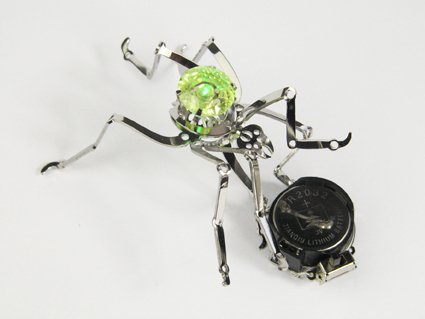 'TeclAntula', Globalorette Series, Brooch. Stainless Steel, CZ, LED, Battery Box, Light Switch, Cable. The ‘Solitaire’ collection features creations concentrating on stainless steel and Cubic Zirkonia. 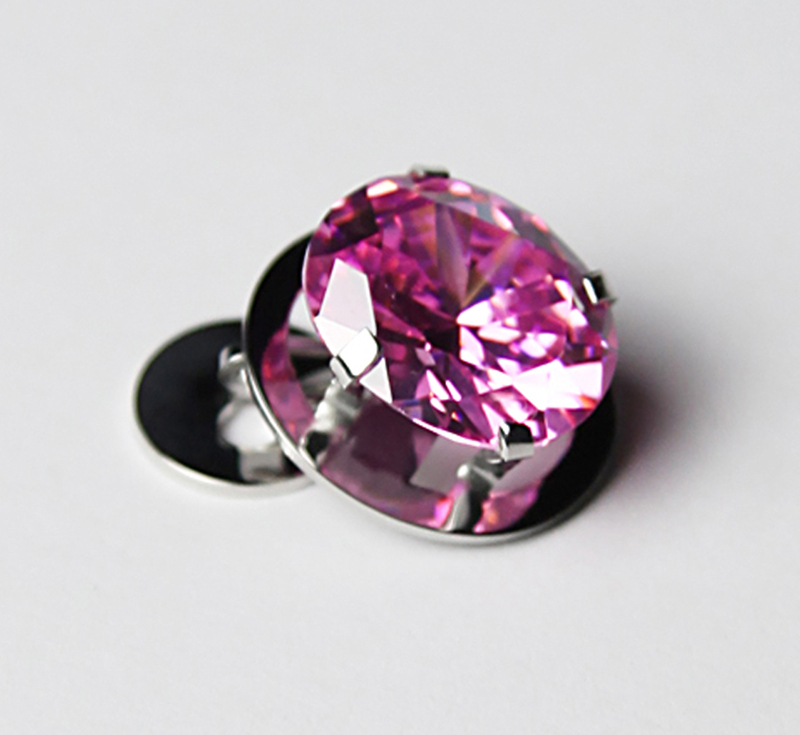 Choose from various rings, earrings and cufflinks. 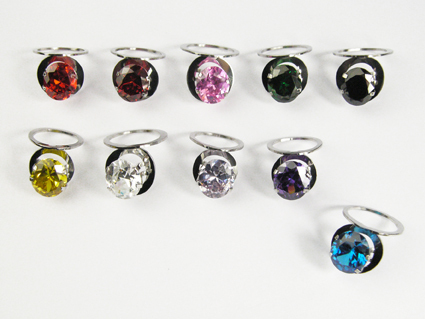 Available CZ stone colours: diamond, honey yellow, fire opal (orange), peridot (light green), emerald (dark green), topaz (blue), pink, garnet (dark red), lavender (light purple), amethyst (dark purple), onyx (black). Stone colours and colour combinations can be individually chosen. 'Solitaire Ring', Solitaire Series, Rings. Stainless Steel, CZ. 'Cluster Ring', Solitaire Series, Ring. Stainless Steel, CZ. 'Clover Ring', Solitaire Series, Ring. Stainless Steel, CZ. 'Solitaire Earrings', Solitaire Series, Earrings. Stainless Steel, CZ, Silver 925. 'Solitaire Cufflinks', Solitaire Series, Cufflinks. Stainless Steel, CZ. 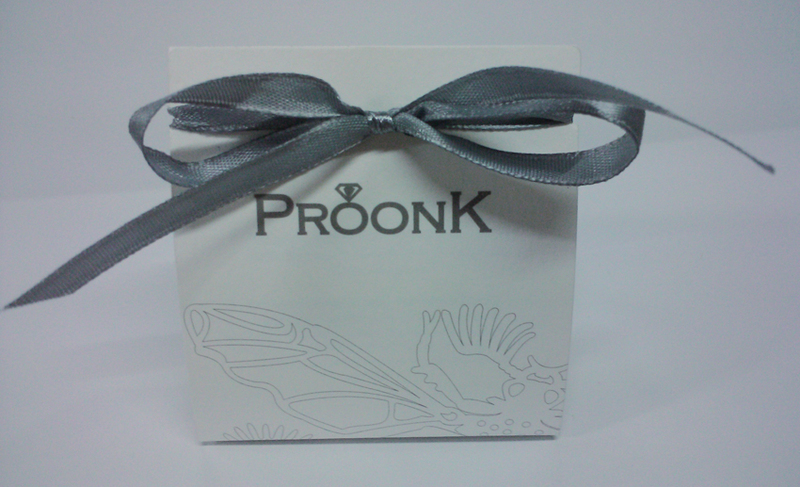 Each ProonK Jewellery piece comes in its own little box. 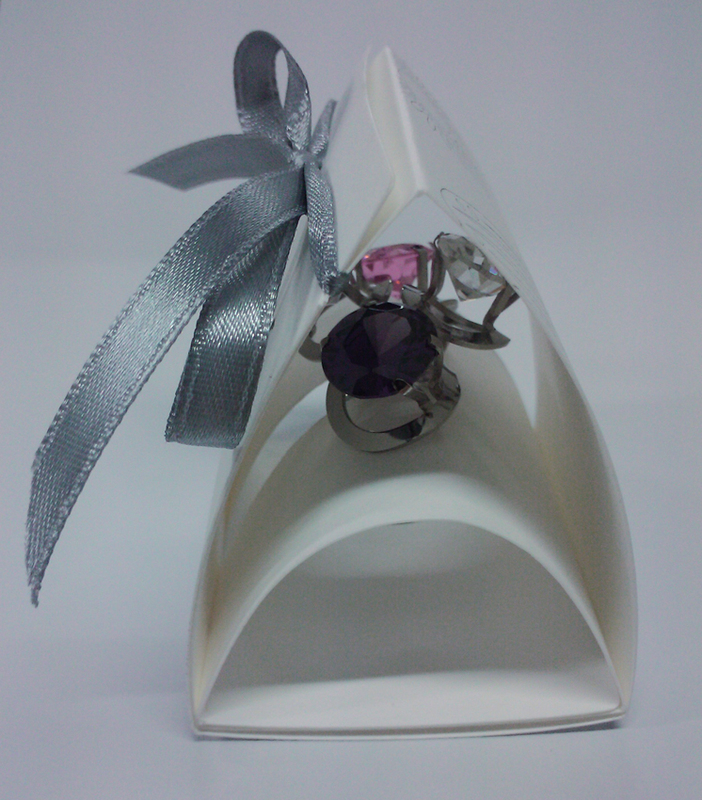 Here are two examples: the ‘MeiHua’ Bookmark and the ‘Clover Ring’ packaging. All designs and graphics have been created by myself. 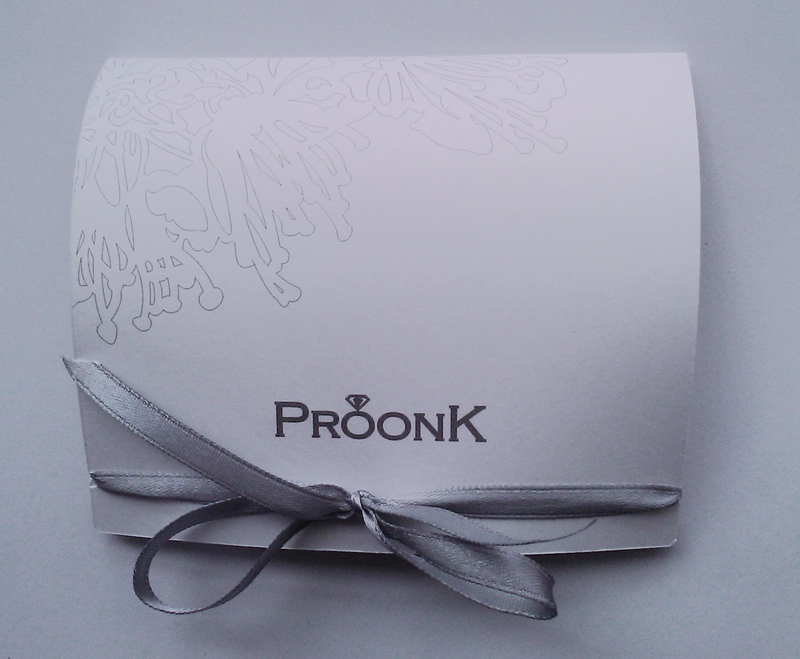 I hope you will enjoy ProonK Jewellery just as much as I do! If you have any questions or enquiries, please drop me a line. I would like to briefly introduce myself before I will to take on a journey to my realm of contemporary art & design jewellery. 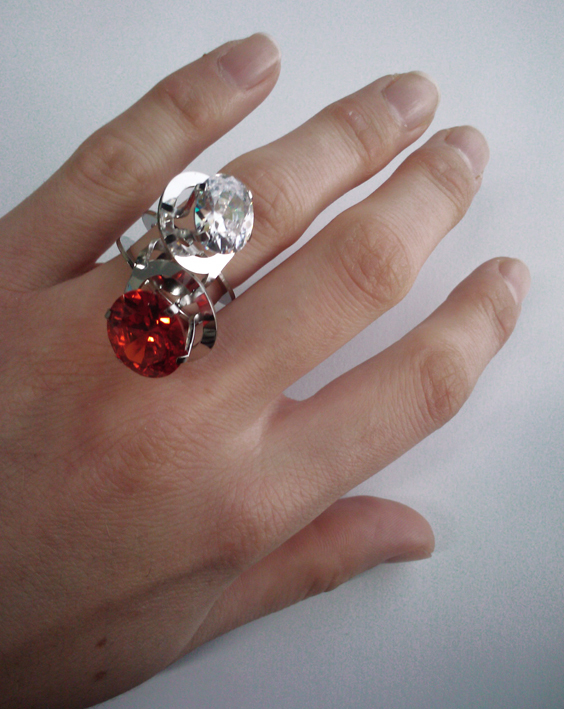 I am Lisa Juen, a jewellery artist & designer from Germany. (Please excuse grammar mistakes and weird sentences!). I knew from a very young age that making things and creating them with my own hands is what defines me. The creative process, from the initial idea to ups and downs in the making, approval and disapproval, drama, excitement, satisfaction and finally tons of happy endorphins when holding a finished piece in my hands, is what keeps me ticking. In my work, I like to ask questions. All sorts of questions that keep spinning in my mind until I feel they are ripe for being further investigated and until I get the answer I was looking for. With each completed making cycle, the whole creative process starts all over again. A new search is induced, new questions, new challenges, new answers. 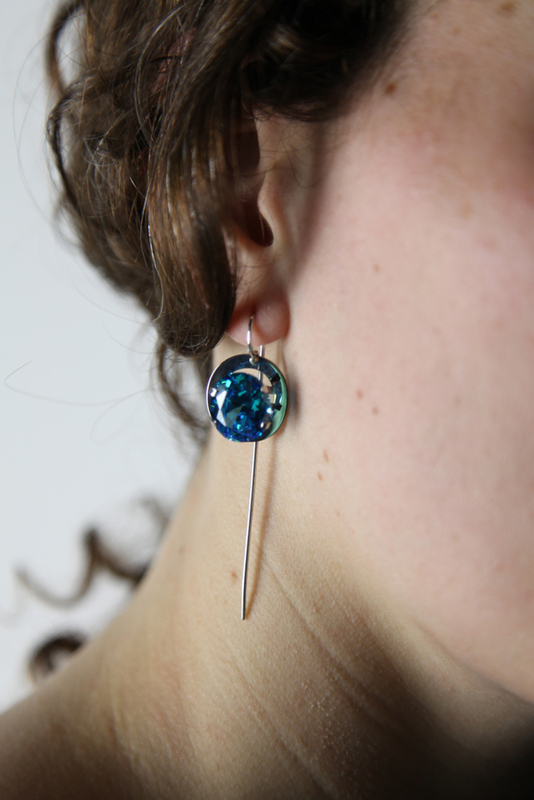 When I had completed my studies at BIAD in Birmingham (UK) in 2007, I found myself being trained as a fine artist with focus on using jewellery as the primary medium of my expression. Since then, my work has been in shows and exhibitions around the globe, introducing my way of thinking to a wide range of contemporary jewellery collectors and enthusiasts. I thoroughly appreciate this way of working and having my work on display but with time, I came to a point that made me wonder how to reach people that are outside of those tight circles as well. I wanted to create jewellery that is accessible to more people and that people want to wear as a steady companion in their daily lives. This is when ‘ProonK’ came to life. ProonK is the English spelled version of the German word ‘Prunk’, which means as much as pageantry, pomposity, pomp. As I have mentioned before, this blog is meant to take you on a journey to the realm of my jewellery making and thinking. This includes my artistic work and progress as well as the development of my new design label ProonK. I hope you’ll enjoy discovering!